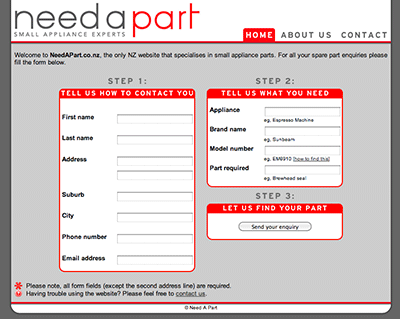 Need A Part is a website and phone service that sell parts and consumables for small household appliances in New Zealand. We are here to help you with your questions about your appliance. We hold stock of a range of commonly requested small appliances parts & consumables, and can get most things that we don't have in our inventory. Although we sell products online, what we really do is develop smart software to make it easy for you to access parts and consumables for your appliances. This whole website is developed in-house! This means that we can give you the best experience and have total control over the content on our website. We also develop software that is used by our suppliers, such as Electrolux and Breville. They use this software to update our website with the latest product information so that you can know how long a product will be out of stock for and be sure that it will work with your appliance. We also develop software that is used by retailers. They use this software in store to get information about appliance parts and consumables, and sell them on the shop floor. This means that when you go into a store that uses our software you can make an informed decision about whether to buy a part or replace the entire appliance. It is super important to us that you are confident that our product is the right one for your appliance. As well as implementing an accurate list of compatible models and descriptions, we pride ourselves in doing all product photography in-house. This means that you can be confident that what you see online is actually what you will receive upon delivery. Jared first had the idea for a phone and web based small appliance parts service when he worked as an appliance technician for his Dad, Dave Tasker, at Upper Hutt electrical. In 2009 when the global recession began to have an impact on Upper Hutt electrical, Jared took the opportunity to start Need A Part. In early 2009, while Andy was still at design school, Jared commissioned him to develop a basic website with a form that customers could use to enquire about parts. Much to Andy's surprise, people actually used this website. Jared soon convinced him of the need for an online shop to complement the enquiry service. Andy came on board and is now the full-time developer at Need A Part. 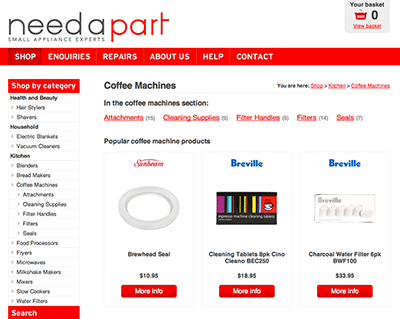 In September 2010 Need A Part had its first customer purchase a part online unaided. 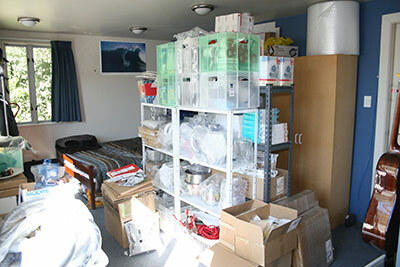 Perhaps the best picture of Need A Part's development is the growth from a business run out of Jared's bedroom to its current office in Grafton supported by the warehouse in East Tamaki, Auckland. 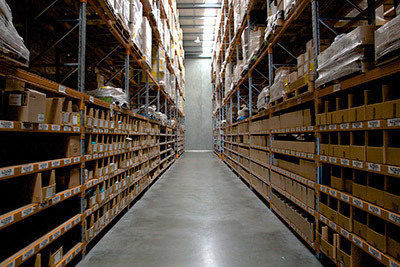 When Need A Part started we only ordered items once a customer had requested and paid for it. Now we hold over 400 items in stock and this number just keeps on going up. We help consumers find the part they need every day (most of the time without even talking to them once) and develop software to ensure that retailers and suppliers can give their customer the best possible service.